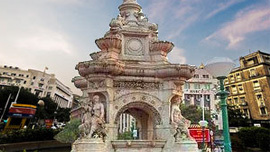 Flora Fountain in Mumbai lies in the midst of one of the busiest parts of the city. This is an aesthetically architectured white marble statue with a jutting fountain presenting a hypnotic aura untouched by the chaos that surrounds this piece of art. Built in 1869 in the honor of the Governor of Mumbai, Sir Bartle Frère, the Flora Fountain is an epitome of the Roman Goddess Flora, the deity of abundance and prosperity. The timeless beauty and splendor of the statue has earned it a heritage status. As a passionate high voltage drama that unfolds on the racecourse, Mahalaxmi Racecourse is the place to be one with the high fliers of the society. 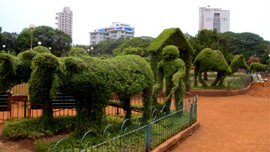 With shining horses galloping on this oval shaped ground within the Mahalaxmi vicinity, you can visit this exhilarating place between November and February and be a witness to something that seems to be otherworldly delight. 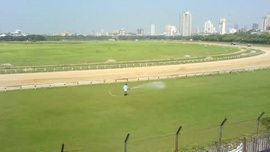 The ground is run by the Turf Club on lease from the Bombay Municipal Corporation. There are few events that so well attended as the Mumbai Derby, an annual affair with dandy English finesse such as hats, gloves, cucumber sandwiches, scones, etc. This is the time when you get to see magnificent thoroughbreds, belonging mostly to Industrialists, and wealthy elites. 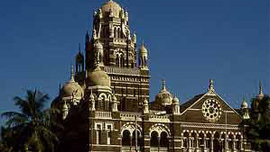 Mumbai is the hub of Indian film industry. Mumbai has played a pivotal role in the development of cinematography. The first feature film Raja Harishchandra was produced in the city by Dadasaheb Phaike, the father of Indian Cinema. 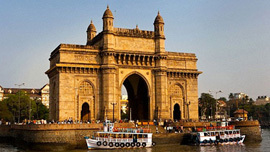 Since then Mumbai has remained a main centre of Indian Film Industry for a period of a century. 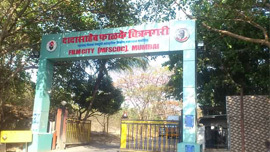 To provide facilities and concessions to the film industry the State Government has built a FilmCity.at Goregaon. The Film City is located away from the city life, on a secluded piece of land in the vicinity of Aarey Colony. The Film City is well equipped with large studios for indoor shootings, recording room, a theater, and facilities like garden, lakes, ground for fighting scenes, helipads etc. for outdoor shooting. The plan for this Film City was prepared and executed under the able guidance of late V. Shantaram, the veteran actor, director and film producer. The Film City is not open to admission without a prior permission. Malabar Hill is a small hill in South Mumbai that is quarters to the famous Hanging Gardens, Walkeshwar Temple and Kamala Nehru Gardens of the Dream City of India. In fact, it is the highest point in the city center, with a height of 50 meters, presenting an eye-catching view of the county that sprawls at the foothills. 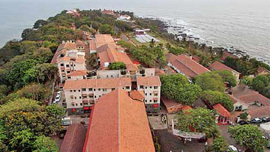 The region nearby is known as Malabar Hill and it is counted amongst the elite residential areas of Bombay. Not only many business tycoons and film celebrities, this area also addresses the official residences of the Governor and the Chief Minister of Maharashtra. Real Estate value here is amongst the priciest in the world. Possibly, unobstructed sight of Back Bay along with Chowpatti beach in the forefront and Nariman Point skyline in the backdrop make the grounds for the soaring prices in this area. Jain Temple and Parsi Tower of Silence are two other religious structures in the region. Also known as Pherozeshah Mehta Gardens, the Hanging Gardens were built in 1880 and renovated in 1921. These gardens are popularly known as Hanging Gardens, because of their location on the slope of a hill. The terrace garden looks south from Malabar Hill towards Colaba, and affords a panoramic view of the city or a breathtaking sunset. It is built over three reservoirs, which store 30 million gallons of water pumped here for cleaning before being supplied to the town. 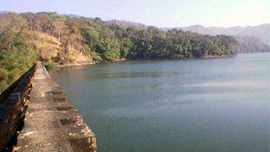 Tulsi lake was built after Vihar Lake as city needed more water supply, This Lake is located Near borivali National park and a person can reach this place by Car or Bus with travel distance about 25 to 27 kilometers towards North Suburb. Tulsi Dam supplies major fresh water to Southern Mumbai like Colaba etc. One can see beautiful climate near the Lake and good for Picture. One can also find reptiles like Crocodiles and Tortoises in the Lake shining with water during afternoon times. Churchgate is a downtown business district in South Mumbai. Imbibing its name from Churchgate Railway Station, the city center is crammed with several offices and banks. However, the railway station is a big hit in the transportation market of Mumbai, being the terminus of Western Railway line of Suburban Railway. Seeing that it is the preliminary point of many trains, it is always thrived with people going to their offices. If truth is to be told, the term Churchgate has been derived from St Thomas Church that is sited about half a kilometer from the railway station and a primeval gate, now taken over by the Flora Fountain. Dotted with number of banks and offices, Churchgate also makes the site for the Income Tax Office. 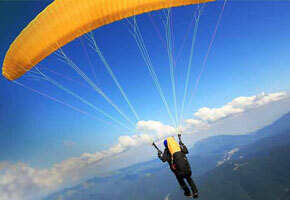 Nariman Point, the class business center of Mumbai, is just about a kilometer from Church Gate. To its west lies the Marine Drive, this is a beautifully designed avenue in Mumbai (or erstwhile Bombay).